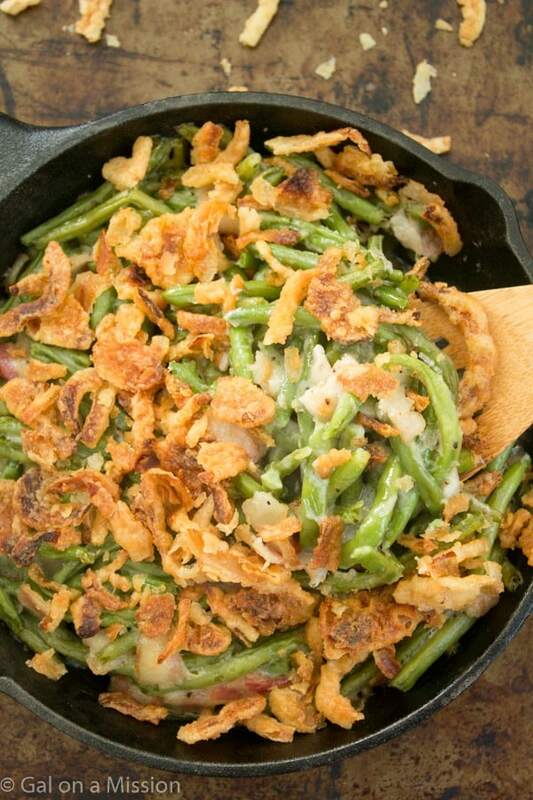 This really is the BEST green bean casserole recipe! No need for canned soups! Ever since I have perfected my homemade version of condensed cream of chicken soup, I use it in everything. It tastes so much better than the store-bought version, plus we actually what’s in there. 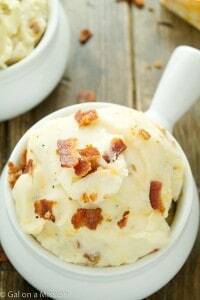 No nasty hidden ingredients in this recipe! I am the person who will usually skip the green bean casserole being served at Thanksgiving or even during Christmas because it tastes so chemically. Not here, I promise. 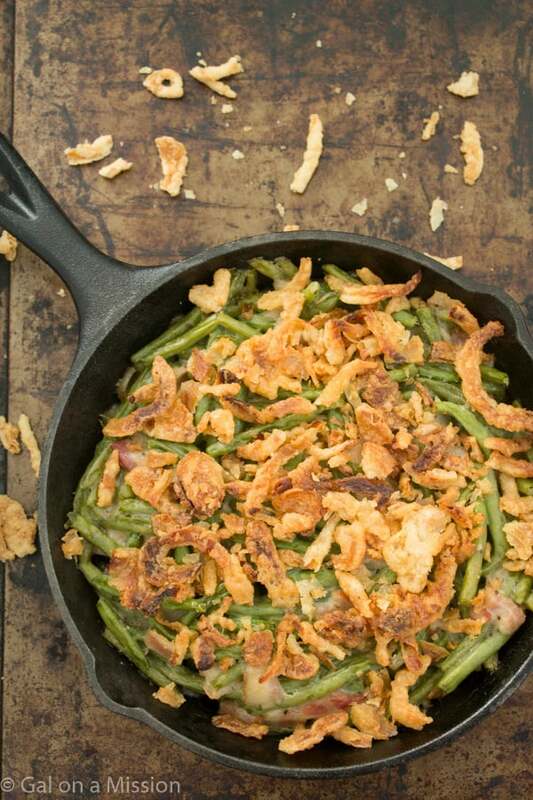 Even my green bean casserole hating husband loved this. Now..that’s really saying something. I really cannot believe Thanksgiving is almost here and before you know it…Christmas will be here, then New Year’s! Where has this year gone. I wish I knew. Have you had any snow yet this year? Are you a fan of winter and snow? In a large saute pan, add in the homemade cream of chicken condensed soup, the minced garlic, and the cut bacon; cook on medium-heat for 15 minutes. 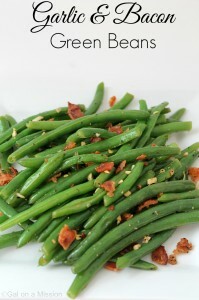 Mix in the green beans. Preheat oven to 350 degrees. 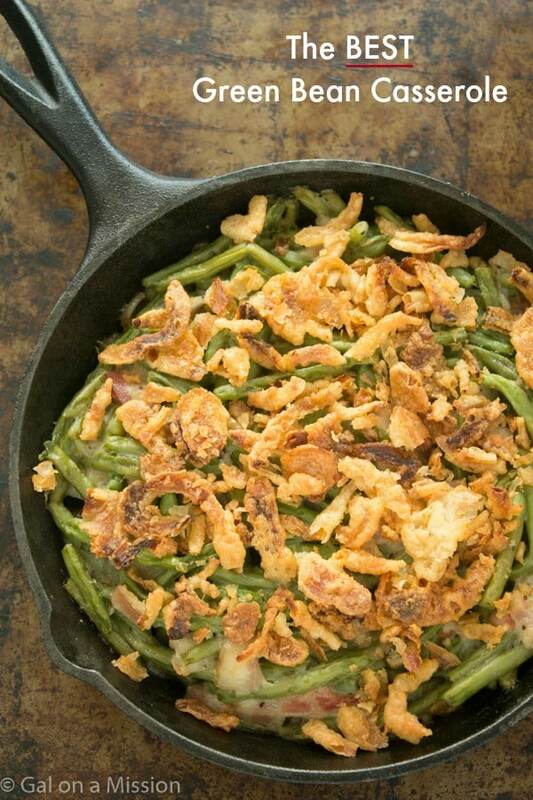 Pour the mixture into a 9x9 baking dish, place the french fried onions on top and bake for 30 minutes.